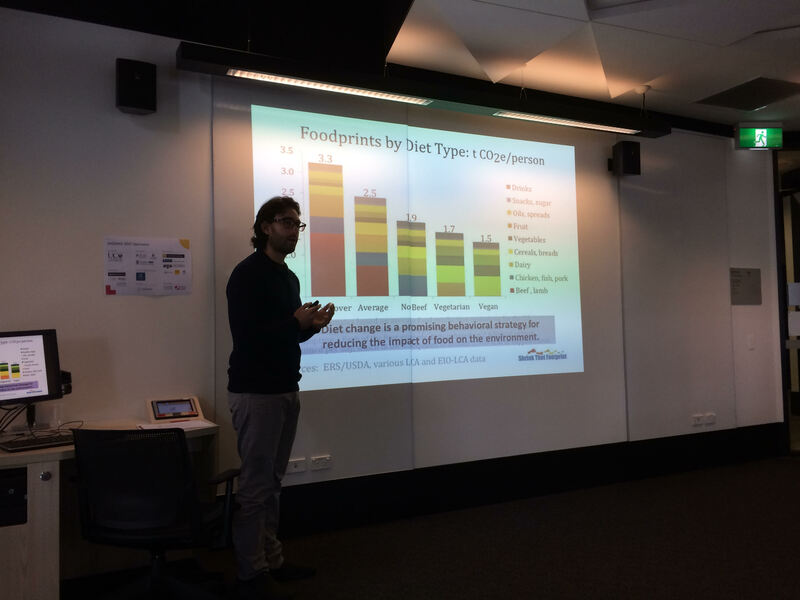 Presented at ANZMAC in Melbourne – Adrian R. Camilleri, Ph.D. The main conference began under a gloom: Melbourne was in the middle of experiencing some of its most rainy spell in recent memory. There were even suggestions that parts of the city – including where I lived in Southbank – would flood! Thankfully, as is typical of Melbourne, the weather cleared. In fact, during the opening ceremony, which was held at the fantastic location of Old Melbourne Gaol )which is where Ned Kelly was hung), the weather was perfect. The opening keynote was given by outgoing JCR editor, Darren Dahl. He gave a really fun talk about how to do impactful research and what the potential barriers are getting there. He was also part of a plenary session on the second day together with other great researchers and editors in the field, including Prof Linda Price, Prof Gary Lilien, and Prof. Eileen Fischer (the last of whom describes me as “wry”; hmmm). I threw them a curve-ball question about fears of a replicability crisis hitting marketing but didn’t receive a satisfying answer. I think another storm is brewing on the horizon for the discipline of consumer behaviour, but I’ll save that for another blog post. I presented a paper called “Consumer Underestimation of Food Energy Use and Emissions”, which won the “BEST PAPER IN TRACK (Macro-Marketing and Public Policy)” award. I was happy to see that they gave me four certificates, so I could send one to my co-authors: Richard Larrick, Shajuti Hossain, and Dalia Patino-Echeverri. My student, Ash Powell also presented a paper titled “Self‐Enhancement and Word‐of‐Mouth Transmission, which was very well presented and received. Beyond that I heard some good talks on emotion and decision-making, and participated in a kick-off meeting for an ANZMAC Special Interest Group on building emotion into choice models. I look forward to seeing how that group develops with leaders Prof John Roberts and Prof Ujwal Kayande at the helm.